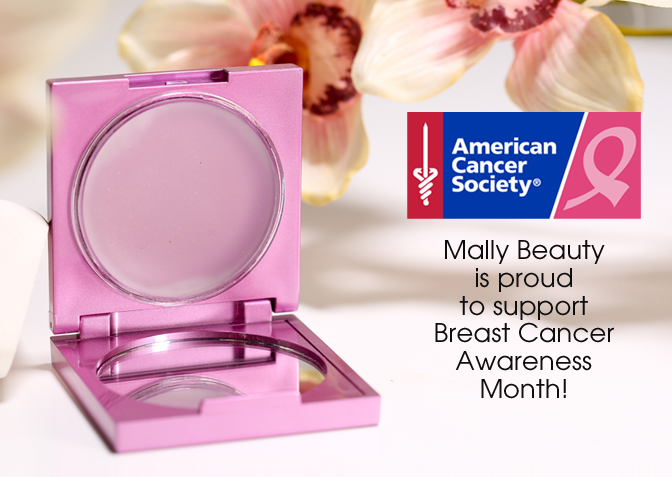 New York, NY, October 5, 2017 – For the month of October, Mally Beauty is contributing 30% of the proceeds from Face Defender sales on MallyBeauty.com to the American Cancer Society whose mission is to save lives, celebrate lives, and lead the fight for a world without cancer. The cause is especially close to Founder, Mally Roncal’s heart as her mother was diagnosed with breast cancer when Mally was just an infant. Dr. Pilar Roncal was told she had no more than six months to live. Determined to raise her daughter, she survived until she was 49 and Mally was 17, but the disease was an ever-present reality. Face Defender is Mally Beauty’s number one bestselling product – and the most effortless way to keep shine under control and makeup looking fresh all day. Unlike typical face powders, Mally’s Evercolor Poreless Face Defender has a revolutionary, water-clear formula that doesn’t cake, flake or settle into creases. Use Face Defender anywhere you would use powder to leave skin looking satiny and matte. Just take the sponge, tap it on the product and pat on your skin (no swiping!) to set and shield makeup for a picture-perfect complexion that lasts all day long. About the American Cancer Society: October is National Breast Cancer Awareness Month. This year, it is estimated that more than 250,000 women in the United States will be diagnosed with invasive breast cancer. Excluding cancers of the skin, breast cancer is the most frequently diagnosed cancer in women. It’s the second leading cause of cancer death in American women (after lung cancer). For more information, visit the American Cancer Society website at cancer.org/breastcancer or 1-800-227-2345.